Re: World Cup 2026 at Arrowhead? AllThingsKC wrote: So what are the chances KC can be a host city and who is KC's real competition? This link was posted earlier, but it best sums up the situation. In short, we have a pretty good chance. Watch out! I got ripped in half for saying that a few months ago in the airport thread. brewcrew1000 wrote: Chicago is not going to host in 2026 and neither is Minneapolis. Wouldn't KC be the top Midwest location after those 2 cities? Florida, and especially Miami, is a massive hub for South American travelers. It will be the main hub that a lot of people South of us travel through. It's a very natural and logical pick. As part of the Kansas City bid, it should make downtown the focus as the fan zone. It'll need to offer affordable, consistent transport to and from the stadium and the airport. It's very doable. They love KC for television and soccer infrastructure and hate it for transport. It's a very doable bid, especially with a new airport and hotel growth. Just focus downtown. Any chance at all KC could have at least the first phase of some sort of I-70 corridor rail in place by 2026? I mean, that's eight years to build 8 miles of light rail or commuter rail. It may not open all the way to Blue Springs or Lee's Summit by 2026, but it could be under construction or design by then. I realize that major infrastructure improvements take a long time, especially in KC, but It really seems like this could be the thing that could get KC on the ball and have a reason to get some major transit infrastructure implemented outside of the urban core and into the most populous county in the metro. KC would likely be on a short list for super bowls etc if they improved access to the stadiums and cleaned up the areas around the stadiums and between the stadiums and downtown a little. I-70 between downtown and the stadiums look like hell. Even the highway just looks like it has barely been improved since the 60's. I honestly see KC having a hard time competing without some pretty drastic infrastructure improvements between downtown and the sports complex and probably even the sports complex area itself such as developing a hotel between the stadiums. Modot still needs to do a complete rebuild of I-70 between downtown and the stadiums and if planned right, they could implement transit into that project similar to the I-25 rebuild in Denver. 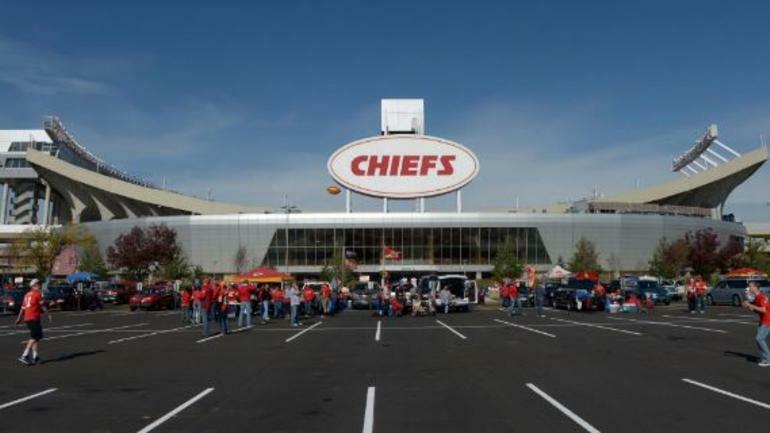 There is nothing wrong with the location of Arrowhead. I hope it stays there forever, but KC should be able to do some of this stuff over the next decade. And if KC has some serious plans in place over the next year or two to improve the transit between the stadiums and downtown, I would think KC would shoot to the top of the list to host cup games. It takes forever for KC to do anything, but there are few examples of when the city finally decides it does need to do something, they make it happen pretty quickly and do a pretty good job with it (Union Station, Sprint Center, KCI, Streetcar etc). This might be the only opportunity to get something like this going in KC. ^ I was thinking the same thing with my earlier post, but I also wonder whether we should be running rail out to the suburbs at a huge cost instead of pushing for the stadiums to be moved closer in on existing transportation options. For the 100s of millions needed to run rail, I’d rather them spend money on a combined Chiefs/SKC stadium or Royals stadium. A rail line to the new airport could also be a better asset to the city. Will be interesting to see where this city goes in the next decade. The KC takes forever to do anything is a trope I'm getting sick of too. Find me a city that isn't struggling with something right now. We have to deal with our city politics, yes, which can be frustrating. But we also have to deal with state and federal policies, along with the realities of the city. Here's one pundit predicting KC will be a world cup site. Hopefully, the USA can qualify that year. Highlander wrote: Here's one pundit predicting KC will be a world cup site. Now if the USA can just get a team in the World Cup that year. Will probably an automatic bid for all three teams with the extended field. Mexico and the US *should* qualify typically, so Canada would be the automatic bid. We'll see. I think we have a good shot. They really like p&l, we have really good soccer infrastructure, and teams will be staying here to train. There are some negatives that will hopefully be fixed by then. Agreed. I'm more interested in the transit implications being discussed than the World Cup bid, and would much prefer any investment in stadia and major event bids etc. be focused on downtown. We still need big ticket attractions such as pro sports downtown, and surely by the mid 2020s we will be seriously discussing at least a new MLB stadium. Sporting going to the Legends was such a major missed opportunity. 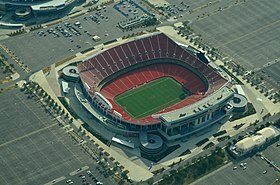 I truly love Arrowhead and the K but if spending hundreds of millions, let's build new in a better location. RE: World Cup - I can't see KC being selected as a host city for a combined North American World Cup bid, despite the beautiful new National Soccer facility etc. Would certainly be cool though, and the new airport, streetcar extension, and dramatically improved hotel situation will be in place by then. No surprise, hotel rooms and transit may be the biggest obstacles for KC to overcome in getting a bid. Otherwise, KC seem to score pretty high. Don't forget the LA Stadium will be open by then. It can have a temporary capacity of up to 100k people. Got to think it will be the front-runner for the final. shinatoo wrote: Don't forget the LA Stadium will be open by then. It can have a temporary capacity of up to 100k people. Got to think it will be the front-runner for the final. New LA Stadium was not a part of the bid & can't be added at this point unless they replaced the Rose Bowl with it. 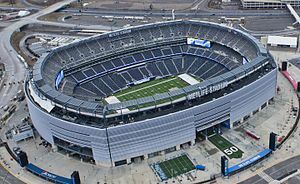 The final will be at the Meadowlands. ATL & Dallas will probably get the semis. Best bet for KC is a few group stage matches & a round of 16. Best case scenario is getting a quarterfinal game. TheSmokinPun wrote: Best bet for KC is a few group stage matches & a round of 16. Best case scenario is getting a quarterfinal game. Sounds good to me! Give me Ghana vs. South Korea or Egypt vs. Panama. Huge win just to get a game. I don't think we even bid for a quarterfinal. I'm pretty sure KC is out after round of 16, but I'd have to go back and look at the bid documents. Don't forget our Mexican and Canadian partners! And also don't forget the round of 32! 16 more knockout games is pretty exciting. There are only 3 teams in each group, but there are twice as many groups. The overall count is up 16 mathces with the new format. I think.